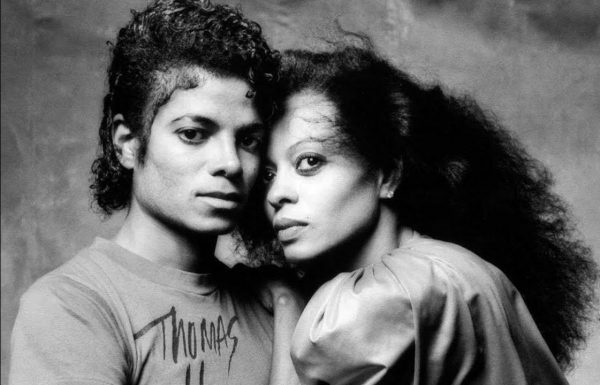 In life, Diana Ross and Michael Jackson‘s love for one another was pronounced. And it’s a trajectory that shows no signs of let up almost a decade after MJ’s passing. 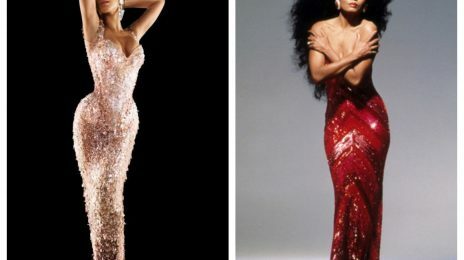 The move by the icon, 74, comes following a HBO documentary that many slammed for its attempt to besmirch Jackson’s reputation. As reported, the production struggled in the ratings and, at at writing, doesn’t seem to have swayed public opinion against MJ. Ima happy to see Diana supporting him, he really loved her and to do this was very appreciative to his family and legacy. HBO still should be ashamed to be so one side on such a case. MJ was investigated for 10 years by three different officials and they found nothing ! And the timing of this s*** is very questionable. This year marks the 10th anniversary of his death… why now?? Just because “they found nothing” doesnt mean it didnt happen. What evidence did you want the police to find? How many people get away with crimes and how many people are found guilty of crimes when they are innocent. Stfu you sound dumb. Their stories have changed multiple times. They seeking after money of his estate not justice “Wade our of money and trying to cash along with the other one, They chased after him not the other way around. MJ didn’t m***** anyone PERIOD. Funny how the media doesn’t report the facts they slept in his bed while he slept on the floor. Bedroom the size of a damn department store and parents were present 💯💯 MJ was different no doubt but a pedo he was not. Check out REAL victims and how investigators discover the truth before you believe bias lies all at the same damn time Catholic priests being protected after their known crimes and recurve absolute no slander but let a black man get his first and foremost. Mj aside, Victims of abuse come forward when they are ready to… you must recognise that. There are people who go years without saying anything. Some victims never say anything ever. People can go years without recognising that what they have endured is called abuse until someone spells it out for them. Im not going to get in an argument with you, grab a book and you will enlighten yourself about how victims respond to abuse. Why does the law not procecute victims who lie under oath… ? Its because the law recognises that people can lie to protect the perpetrator because they may not understand at the time that whats happened to them is wrong or they want to protect their abusor. This conversation is probably going to go over your head, but grab a book and inform yourself. Anyway, i really hope you are right and no abuse went on, because what those two people described in that documentary is horrifying and i would not wish that on anyone. Only 4 accusers. 1 was PROVEN to be a liar in a court of law! 1 later confessed that it was a money grab organized by his father and MJ NEVER touched him. 2 are known LIARS who accused him after he died. Conclusion: MJ is innocent. Bring me a credible accuser and I will believe him or her. Why is it that all the credible candidates proclaim MJ never did anything inappropriate (McCauley Caukin, Brett Barnes, Omer Bhatti, Emmannuel Lewis, Frank Cascio, Eddie Cascio, Aaron Carter, Anton Schleiter, Corey Feldman, etc)? Surely, all those boys can’t be lying! MJ is innocent! @Formulation. The alleged abuse was in fact spelled out right in front of Wade when he testified under oath that MJ never touched his private area, never cuddled with him, never showered with him, never did any of the inappropriate things he was accused of. He responded to very specific and very detailed questions. Read the testimony!! HOW MUCH MORE NEEDED TO BE SPELLED OUT?? There comes a point in ur life when it just clicks in ur head that its abuse. And people lie for all different reasons. Yall need to read up on trauma and how people react to it in different ways. Its not as simple as people might think and it may not always make sense to you. whether you do or do not, the fact remains that his “relationship” with children was unhealthy regardless or whether any abuse had taken place or not. Was his relationship with children healthy though? Why is it that all the credible candidates proclaim MJ never did anything inappropriate (McCauley Caukin, Brett Barnes, Omer Bhatti, Emmannuel Lewis, Frank Cascio, Eddie Cascio, Aaron Carter, Anton Schleiter, Corey Feldman, etc)? Surely, all those boys can’t be lying! MJ is innocent!! The problem is Diana has no way of knowing whether he was guilty or innocent. Just like his family members, her opinion doesn’t hold much weight. For one thing, she is biased and blinded by her love for the Michael Jackson that she knew. But he would have never done anything inappropriate with a child in her presence or in the presence of one of his family members. Sometimes one person can be a whole different person to different people. Just because she never saw that side of him doesn’t mean it didn’t exist. Another thing, Latoya Jackson’s old interviews on the subject of sexual abuse by their father and potential sexual abuse by Michael seemed pretty convincing to me. Back then everyone thought she was out for money and attention but at this point, I think people should have taken her seriously. For everyone who believes these “aCcUsErS”, I’d really like to know, what exactly makes you believe them? Their word alone? Bc that’s the only thing here you’re riding on. Which is quite idiotic when you think about it. I didnt say i believed the men 100%… there is always a doubt as i was not there and therefore cannot be 100%. Some of y’all acting like u know MJ is 100% innocent. He may well have been, and like I said, I really hope he is because what he is being accused of is horrifying. But y’all need to remember that you can never be 100% sure that nothing inappropriate went down at that ranch as none of us were there observing their interaction every minute of the day. Just because you may not believe those things that have been said, doesnt mean that it didnt happen. And i guess we will never know. Just because i believe what was said in the documentary doesnt mean I am right. No but believing that documentary does mean you’re incredibly gullible, incapable of using logic, and researching concrete facts. What are the facts? Just because someone got paid or their contract didnt pan out, or they only came out 10 years later, etc etc… if you think thats logical to say that those are the reasons why MJ is innocent, then that logic is flawed on so many levels. Life is complex and how people process trauma is different. regardless of all that logical thinking people are talking about, it still doesnt mean that anything inappropriate did not happen. What the men are describing in terms of why they did not come forward or tell their truth in the past is plausible. It makes sense and is backed up by research – that’s a fact right there. These men were children when the alleged abuse occured… that sort of abuse can impact someones life immensely and can really confuse someone into thinking what is happening is “normal” or “OK” when it is it. there’s so much to this story that you don’t know and that you’re simply basing off of these two men’s words and textbook tellings associated with their accounts. If only you actually took that energy to really research everything this doc and the media doesn’t tell you. It’s all out there, regarding timelines, their histories of perjury and falsifying information, monetary motives, admittance, etc etc. there’s so muc. And not just with these two but all of Michaels accusers. But you lazy Michael Jackson haters and #MeToo sympathizers would rather take the easy route and believe the bs WITHOUT the proper research and fact checking bc that’s the world we live in today. So go awf. @Formulation. Your logic is flawed. Why is it that you can’t be 100% sure that MJ is innocent, but you can be 100% sure that these two men are telling the truth? The burden of proof is on them, and they haven’t proved a darn thing except how bad they are at keeping up with a lie that requires them to remember dates and locations that they keep getting incorrect. @eric it’s bias and dumb logic that’s why. We live in a very anybody can say anything kind of society and it’s up to you to prove you’re NOT guilty. Its absolutely disgusting. I think there is only one answer : we’ll never know the truth. There is a huge difference between facts and opinions. That documentary brings no proof on the table, only those 2 guys « testimonies ». What about the other kids ? No one else is speaking up ? If it’s true then it’s sick. If it’s not : it’s sick as well to destroy a man like that, and his family.